A custom bag cap was necessary to function as a sealed connection between the aluminum foil bag and the fitting on the copper tube that attaches to the checkvalve. 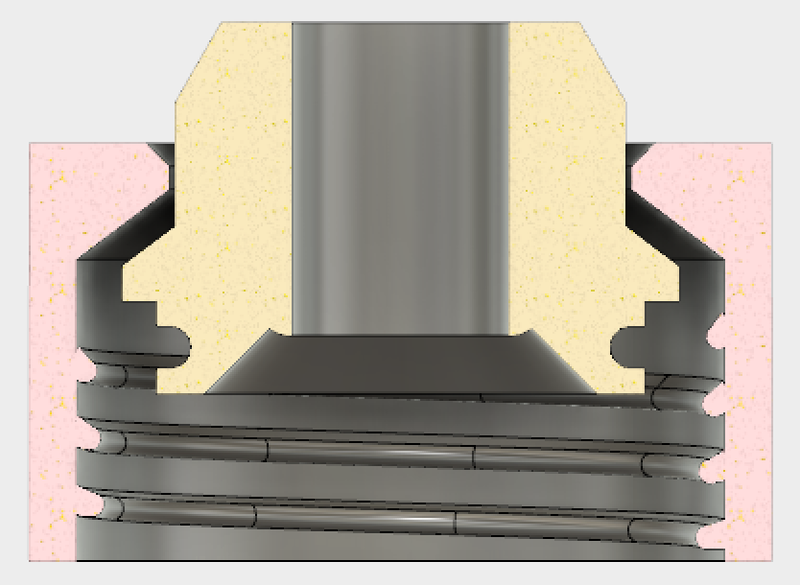 The dimensions of the bag's mouth were measured with calipers and a first prototype was designed based on two pieces: an inner piece that presses against the end of the mouth with an o-ring and that can be tapped to fit to a 1/8 NPT fitting, and an outer piece that screws onto the mouth and forces the inner piece to seal (see picture 2). The first prototype worked well and was lightly modified over time. Most of the caps were printed in HIPS as we were out of ABS at the time, but both ABS and HIPS print well.